There’s another roller derby home game coming up June 4th and the Gas City Roller Derby Association needs sponsors! These people receive 2 tickets to the game (worth $20) and get their scanned business card printed (in black and white) in the game program. 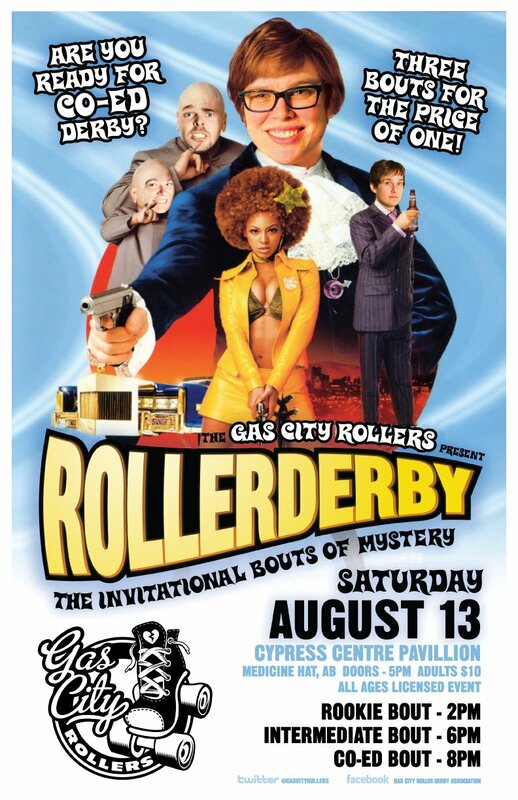 Business card ads also get a mention by our announcer. Needless to say, myself and others would personally appreciate all the help we can get! If you’re interested, please contact me at du57y@hotmail.com or comment below and I will be around to help set you up or answer any questions you may have. 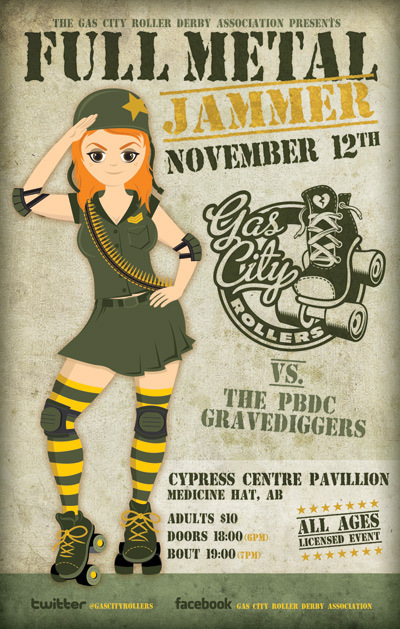 We haven’t really posted anything about the Gas City Rollers before on Medicine Hat Media and when I take a look back, I can’t really think of why. 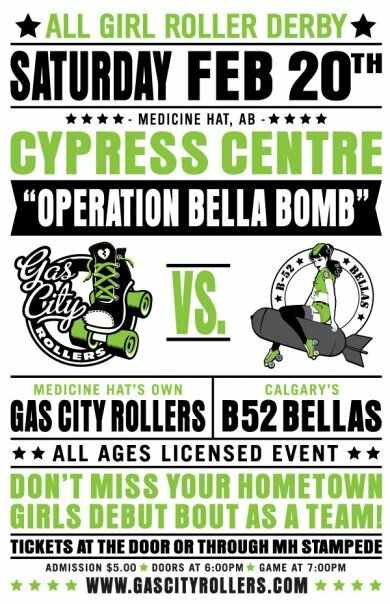 I might do a follow up post about the Gas City Rollers in a more in-depth look, but for right now, all you need to know is: They are a roller derby group based in Medicine Hat who are participating in their debut bout as a team facing off against Calgary’s B52 Bellas. 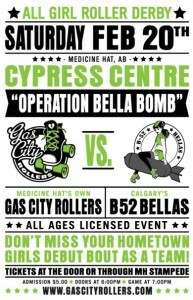 The all-ages showdown will be taking place on Saturday, February 20th at the Cypress Centre. Admission will be $5.00, doors open at 6:00 and the game starts at 7:00.